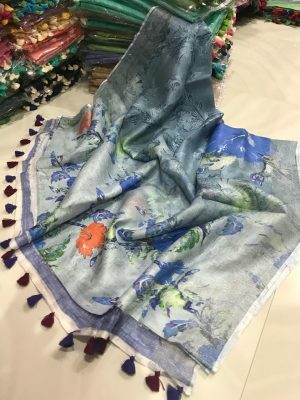 20 Top linen floral sarees online india. 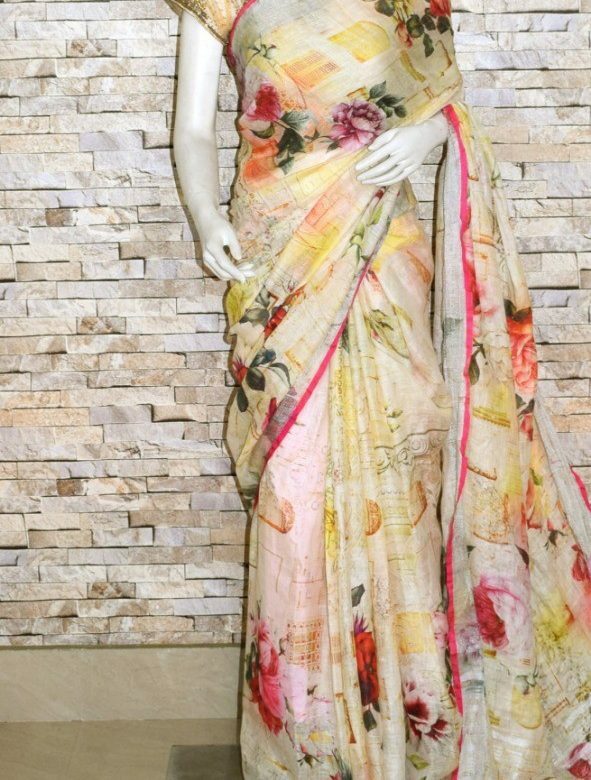 Floral Printed Linen Saree with Unstitched Blouse Piece. Buy latest collection of Linen Sarees on siri designers. 100% Genuine Products at Affordable Rates. More about linen sarees click here. About saree: Saree designed with pink color with floral print. 120’count. About saree: Saree designed with white color with floral print. 120’count. About saree: Saree designed with pale yellow color with floral print. 120’count. About saree: Saree designed with grey color with floral print. 120’count. About saree: Saree designed with white and maroon shade with floral print. 120’count. About saree: Saree designed with orange color with floral print. 120’count. About saree: Saree designed with white and pink shade with floral print. 120’count. About saree: Saree designed with peach color with floral print. 120’count. About saree: Saree designed with half white and yellow shade with floral print. 120’count. About saree: Saree designed with grey shade with floral print. 120’count. About saree: Saree designed with blue shade with floral print. 120’count. About saree: Saree designed with lite yellow color with floral print. 120’count. About saree: Saree designed with grey and blue color with floral print. 120’count. About saree: Saree designed with pista green color with floral print. 120’count. About saree: Saree designed with multi color with floral print. 120’count. About saree: Saree designed with yellow color with floral print. 120’count. About saree: Saree designed with half white color with floral print. 120’count. About saree: Saree designed with white and grey shade with floral print. 120’count.